Amazing Virtual Reality rides over summer in the Perth CBD. We have closed for now. 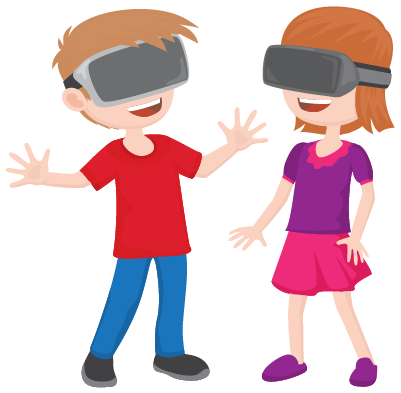 Children in grade 2 (6/7 yrs old) and up can visit Imaginarium VR. Children aged 6-12 must be accompanied by someone 15 years or over. 15 years and up. If you look older than 14 then please bring your ID. Under 15. 6-12yr olds must be accompanied by a person 15 or above in the experience. Please bring your full-time student, unemployment, pension or health care card. Secure checkout with PayPal What is PayPal? People who use wheelchairs can be hosted in the Magical Spherical Cinema™. We have some space limitations in the Dreamatorium™ that may preclude it for wheelchairs that have a large turning circle. The Mechatron™ ride cannot be accessed by people using wheelchairs. Please indicate if you use a wheelchair when you book so we can be prepared for your visit. If a session has multiple people using wheelchairs, we may need to run the session with smaller numbers. VR is primarily a visual medium but some visually impaired people find it interesting and stimulating. At present Dreamatorium™ game-play presumes some degree of sightedness to participate safely with others. Virtual reality equipment may interfere with some hearing devices. At this stage our content does not support closed captions but we plan to integrate this feature in future versions of our store. If you have concerns, we recommend that a support person tries our experiences first. Some exclusions apply: People with implanted medical devices such as pacemakers should consult their doctor before using VR; people who are pregnant should also consult their doctor before using VR. Please contact Stefan with any questions or comments about how we can improve accessibility. © 2017 Imaginarium VR Powered by FRAMEVR.